What would life found in water dating back to more than a billion years ago look like? Scientists are hoping to find out. Deep in a mine in Timmins, Ontario, scientists extracted samples of water that is more than two billion years old. Now, they are on a quest to see if any life exists in the liquid. If microorganisms are found, this would add another place to a growing list of areas where so-called “extremophiles” — lifeforms in extreme environments — exist. If not, however, the finding would teach us something equally important, said Barbara Sherwood Lollar, a professor of earth sciences and geochemistry at the University of Toronto. It could give her team, she said, a hint of an “abiotic line,” or an environment where an element essential to life is missing. Understanding this could make it easier to narrow down the search for life beyond Earth. So far, all life on Earth has the same ancestry, no matter how extreme the environment. That life is very tenacious, scientists have discovered. Extremophiles have been found in volcanic vents with temperatures reaching far above boiling. And in 2007, the European Space Agency deliberately launched microorganisms on a Foton-M3 spacecraft and exposed them to the harsh vacuum of space. The lifeforms survived. Life could have happened differently on other planets, however, which makes it difficult for scientists to figure out what to search for. The carbon-based life hosted on Earth may not be the same chain of life formed in other places. “We assume there is really only one way to make life on Earth because we only know one way life formed, but there may have been multiple experiments and multiple protolife forms before one took over through natural selection,” said John Baross, an oceanographer at the University of Washington in Seattle who also spoke at the panel. Scientists once believed that life could only exist if a planet was a certain distance from its star that would allow for liquid water. In recent decades, however, scientists realized that warmth could also come from a process such as tidal flexing, which occurs on Jupiter’s moon Io as the little world is affected by the gravity by the nearby, immense planet. 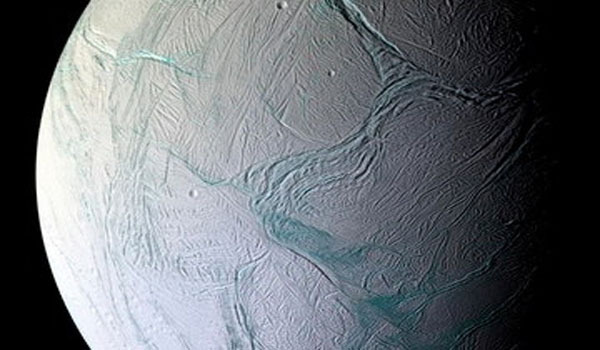 Pictures from the Voyager spacecraft in the 1970s and 1980s revealed at least six moons that have an icy shell and probable water below, added Kevin Hand, the deputy chief scientist of the solar system directorate at NASA’s Jet Propulsion Laboratory. One of these is Saturn’s moon, Enceladus. “On Enceladus, the ocean is jumping out at us quite literally. What you’re seeing here are plumes of water erupting out of the fractures in Enceladus’ icy shell,” said Hand, pointing to a large picture on the screen behind him. Although scientists can see areas that may be habitable to life, Hand added they can’t yet prove those areas do host life. Chemistry and geological processes on Earth have been confirmed on other worlds, and he believes biology is the next step. “We now have the tools and technology to do the experiments to make the measurements, and to see whether or not biology [principles we understand] does in fact work beyond our world,” he said.